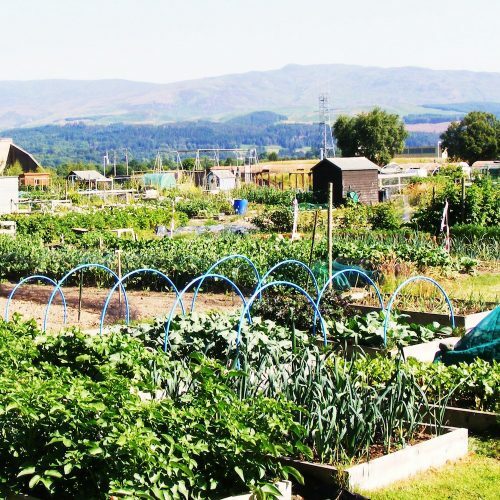 The Comrie Allotments Association was formed and formally constituted on 28th of August, 2008 and currently hold a lease with the Comrie Development Trust until the 31st March 2024. A set of simple rules are in place and were drawn up under the initial guidance of the CDT and the agreement of the CAA, these are now reviewed and changed only by the Committee and the CAA members at the Annual General Meeting. 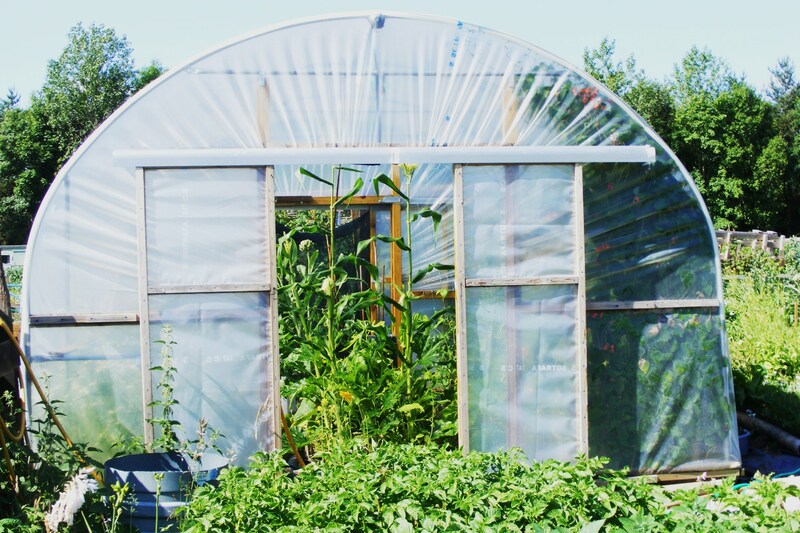 There are 30 full plots, some of which have been turned into half plots, plus the “Comrie in Colour” Poly tunnel which is plot 31. 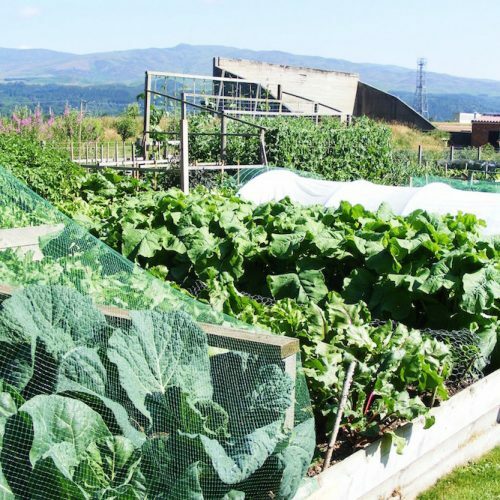 Despite the different weathers of the recent years, canny plot holders of Comrie have still managed to produce some plentiful crops of most kinds of vegetables. 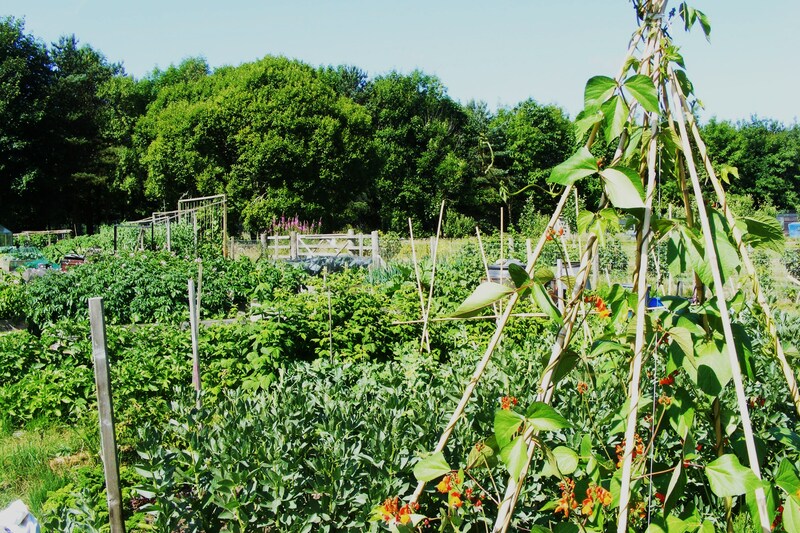 With 19 full plots and 22 half plots, an allotment becomes vacant on a regular basis, mainly due to people moving home, health reasons or occasionally just a loss of interest. If you are a Comrie resident with a Comrie Post Code and wish to apply, you can join the waiting list which is operated on a strict rotation basis. 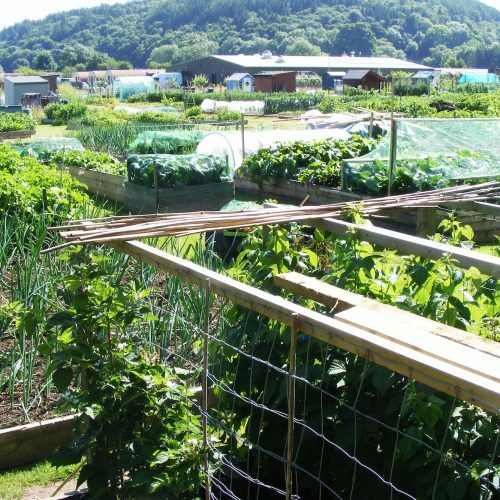 If you have an email address, you will then be able to follow developments at the allotments site via the regular news letter. Once successful you will be given a Welcome Pack and shown the facilities of the site. These include 5 stand pipes and hoses for watering your allotment on the occasions when it has not rained. In hut 106 there is a mains toilet and wash hand basin with hot water, a kitchen with Kettle, Microwave, sink with hot water and free tea or coffee (No milk for obvious reasons). 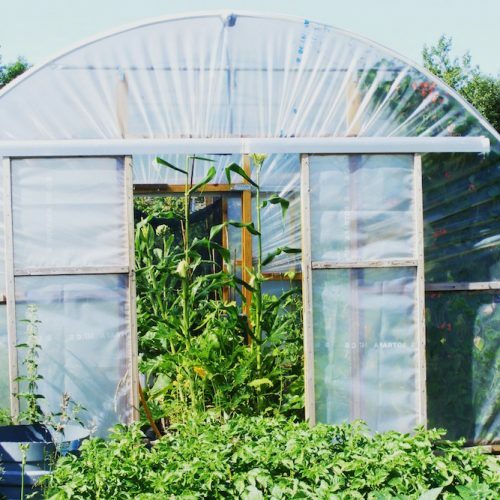 Join the Allotments Association Mailing List and receive news by email. To join the mailing list and receive the latest updates via email, please contact a member of the Committee below. The Allotment Association is currently in the process of renovating both huts 106 and 107 and bringing them up to a “better” standard, work is already in progress on the interior of 106 with the toilet completed (awaiting new floor covering) the kitchen 75% finished and now working on the entrance hall and hall way. The second stage will be the replacement of the windows and front door, the third stage is the outside which will mean the replacement of the front stonework of both huts and some attention to the roof. The forth stage is hut 107 which is in need of all the above and some more. The Committee is looking at a period of 18 months (perhaps longer) and subject to finance, a Grant is not being looked at as the Association prefer to spend the money on an ‘as can afford’ basis. Fund raising is an important part of the Committee’s and plot holder’s requirement in order to keep rents down to as low as possible. When available, we try to have a produce day sale where we sell all excess produce to the village with the plot holders selling teas, coffee and cakes to the public from hut 107. However, our biggest (and hardest) event is providing teas/coffee and food for the runners and spectators of the Strathearn Harriers Marathon run, this year being their 5th and biggest run the Association had to provide for 170 Runners, 60 Marshals together with families and spectators. Our duties start at around 7.30am and finish between 3pm and 4pm, knowing that all have been fed and watered and happy judging by the comments received on the day.